Is the American Dream Turning Canadian? When Truong Nguyen (called simply ‘T.’ publically) decided to attend high school in America in 2001, his reason was simple: “I wanted to live the American dream.” He added he felt a bit of pressure from his parents, who encouraged him to complete his education abroad and gain his citizenship in the foreign country. Funding his first year with an international scholarship, Nguyen and his parents paid for the rest of his high school career themselves. After graduating, he went on to complete a BA in computer science from the University of Louisiana. He said he liked the culture of the South. As Vietnamese youth become sought-after students in the international education system, concerns like the difficulty of the application process and new visa laws start to matter. Is the American dream becoming the Canadian dream? 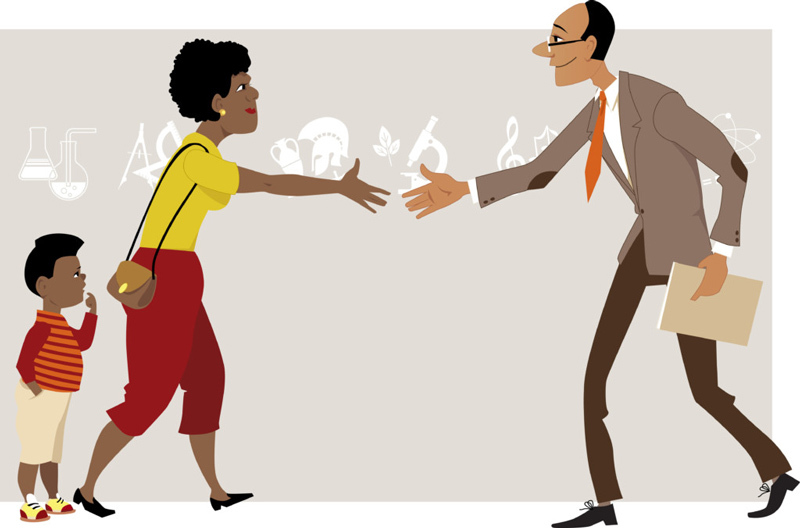 As Christopher Runckel, America’s first diplomat to Vietnam after the war, told us, “In some markets, like the United States +and Canada, the recruiter is basically trying to recruit the kid, but here [in Vietnam] they’re trying to recruit the parents, and they’ll often choose the programs the kids will go off to.” For parents, the decision has many factors at play: safety is typically the number one concern, though price and prestige also enter into the decision-making process. Chi Thuc Ha, the Director of University Counseling at American Education Group (AEG) says that family ties also play a strong role. If the future college student’s uncle lives in Texas, chances are parents will feel more comfortable if their child attends the University of Dallas rather than Cal State. According to the Vietnam Department of Statistics, almost 130,000 Vietnamese students studied abroad in 2016, and almost all of their tuitions were self-funded. It’s a student group that could bring hundreds of thousands of dollars to a country during each four-year education cycle, not counting higher education after college. Universities have caught on to the potential windfall; hundreds of university representatives come courting to Vietnam’s major cities every year in the hopes of swaying kids and parents towards their schools. At the Global Education Fair coming to HCMC this March, for example, representatives from 13 countries will be present, all ready to woo. 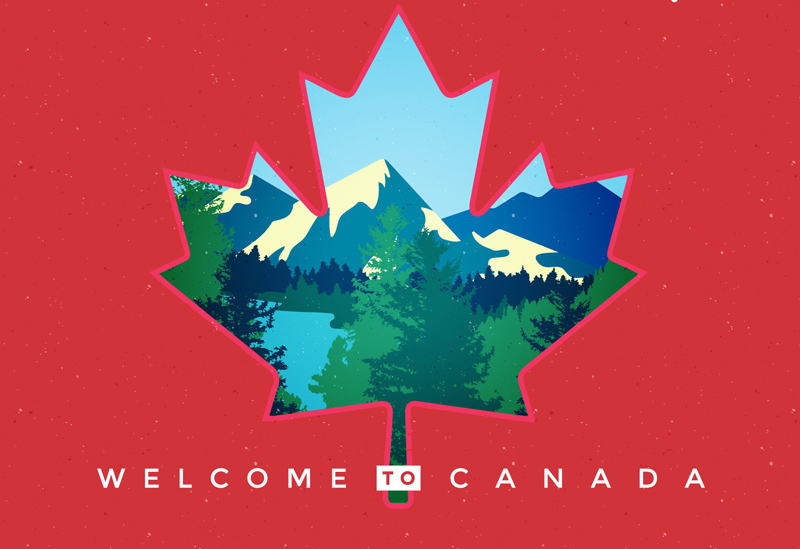 In particular, Canada has made systemic efforts in their immigration and education system to appeal to a broader range of international students, and their efforts have been paying off. Although Ha works primarily with students focused on American schools, she has seen a dramatic shift in interest. “It hasn’t been until the last few years that students have been like, ‘Hey, by the way, can we also apply to these other countries?’” And because Canada’s application process runs a few months after most colleges in the United States have sent their acceptance letters, she sees many students opting for Canadian applications. “Almost every student I have this year submitted an application to McGill and Toronto,” she said. The proof is in the numbers: According to statistics from a survey put out by “Immigration, Refugees and Citizenship Canada”, students from Vietnam studying in Canada have risen dramatically: in December 2016, the survey cited a 55 percent year-on-year student increase, second only to India’s 57 percent. Compare this to the United State’s more modest 5 percent gain in the same period. However, this accounts for almost 5,000 Vietnamese students in Canada, still a paltry sum compared to the around 22,000 studying in the US. Runckel says the increase doesn’t have so much to do with the schools, but with the government. “I’ve seen an increase in interest in Canada this year in particular. And a lot of that’s because they changed their immigration law.” Making the immigration process easier has made Great White North more welcoming to students and immigrants, just as the United States have been shutting their doors increasingly tighter. How to make Canada more appealing to Vietnamese students? It starts with the application process. According to Deren Temel of University World News, in 2015 Vietnam was ranked third-slowest for Canada’s study permit processing time, a major factor as a student makes plans for his or her future. In response, two programs have been started to increase the efficiency of Canada’s application process: the Canada Express Study (CES) program, an 18-month program launched in 2016, and the Study Direct Stream (SDS), which will be officially on line in March 2018 and will focus on post-secondary college applications. 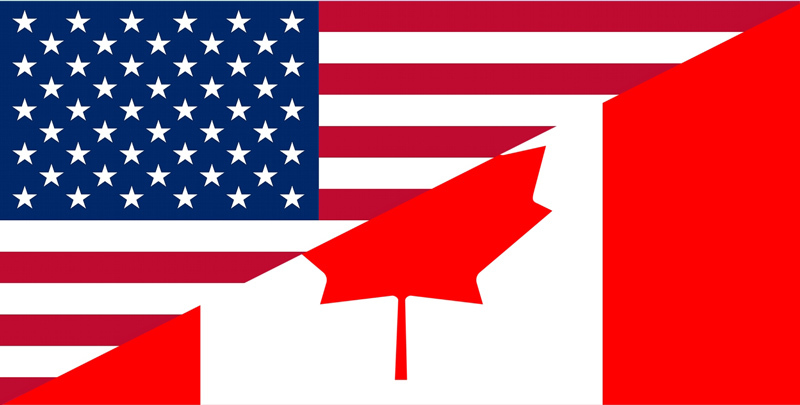 Both programs are similar on paper, and work to accomplish the same goal: to make the transition from Vietnam-based application to Canada-based student as quick and effortless as possible. The system requires less financial documentation and has a faster visa processing time than traditional methods, and all forms and documents are easily accessible online. 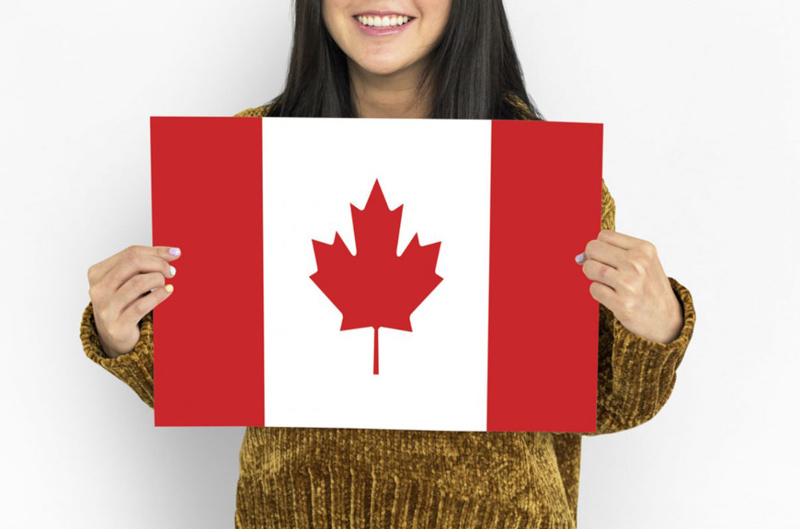 Eligibility for the fasttrack are relatively simple: an IELTS score of 6 or above is one of the several conditions, along with an investment of CAD$10,000, to be deposited to Scotiabank, Canada’s national banking chain, which will be used by the student during their first year abroad. So far, the changes have made a positive difference for the northern country’s educational goals. 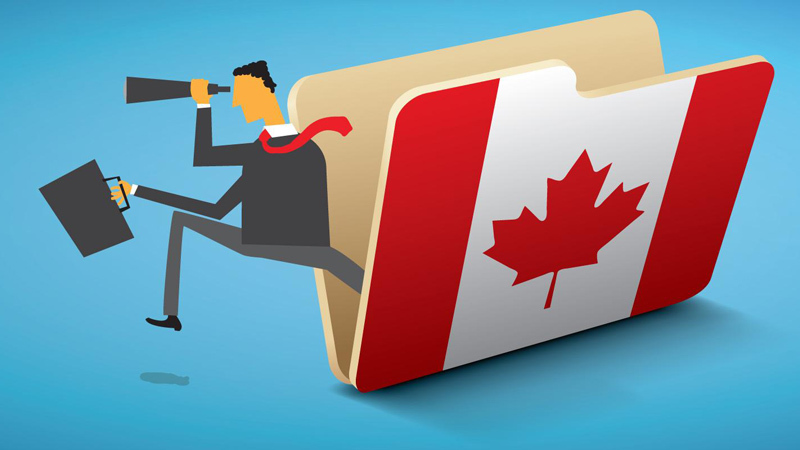 Speaking from the Consulate General of Canada’s office in HCMC, Consulate General Kyle Nunas said that the changes have made a large difference: now that the process is easier, over 50 percent more Vietnamese applicants are choosing to apply to Canada than two years previously. What’s more, completing education in Canada gives that student credit in the country’s point-based permanent residency application program. A complete education gets the aspiring Canadian resident up to 30 points, almost half of the 67 points currently required to live in the country legally. “The point is to have more people come into the country, but to have the right people come—skilled, smart, experienced,” Runckel said. This is in direct contrast to the United States’ process, which encourages students to stay on a student visa and then return home after they gain their degree due to the U.S.’s difficult immigration process. For Consulate General Kyle Nunas, the changes work to make Canada more welcoming to a wider group of people. “We’re a nation made by immigrants, after all,” Nunas said. As Canada makes efforts to accommodate new residents, immigration and international laws have been tightening since President Donald Trump has stepped into office, and even before. “I think we’ve done more to lose some of the good will that we’ve with some countries in the last year than we’ve done in any one-year period in our history,” Runckel said. He said the the policy changes have had unintended victims, like small colleges who previously depended on international students as an important source of revenue. 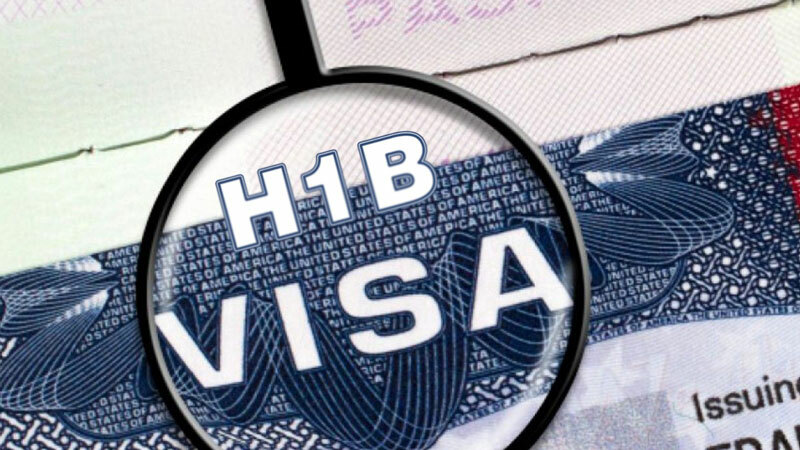 For Vietnamese citizens hoping to move to the United States after college, the H1B visa has made a concrete difficulty for their plans. Multiple people we talked to agreed it’s getting harder to nab one of the visas, especially with the current lottery system in place. Vu’s worst experience came at the tail-end of her time in the U.S., when a man approached her on the street loudly asking her if she was from China or Korea, and telling her to go back to her country. “It was scary,” she said. Hate crime incidents in America have gone up over the past year, from 5,800 in 2016 to more than 6,100 last year, according to FBI statistics. Ha at AEG says it’s unlikely any safety concerns would affect a Vietnamese family’s decision to study or move to the country. “For most families that I work with, that’s not something that they really see, primarily because as Asians we’re not the primary target [...] when people talk about anti-immigration,” she said. The heavy reliance on digital devices in Vietnam has come swiftly: over 35 million people use Facebook regularly in the country, and an estimated 32.43 million will have a smartphone in 2018. 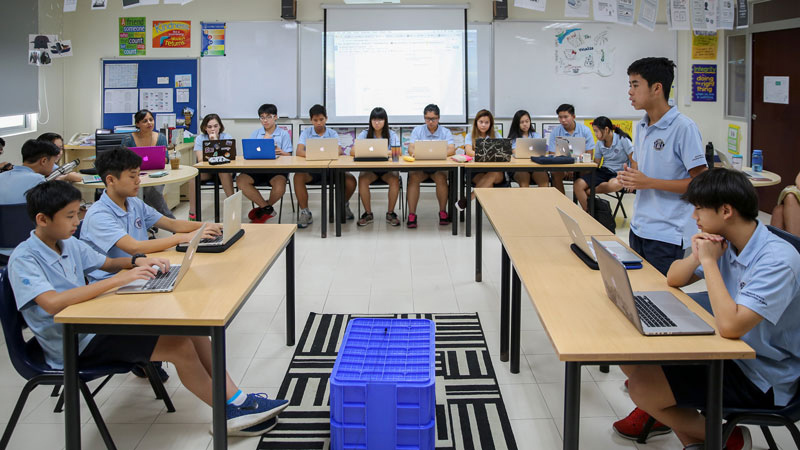 The use of technology has irreversibly changed the way we look at the world and have become social, but in HCMC, will it change the way our kids learn as well? 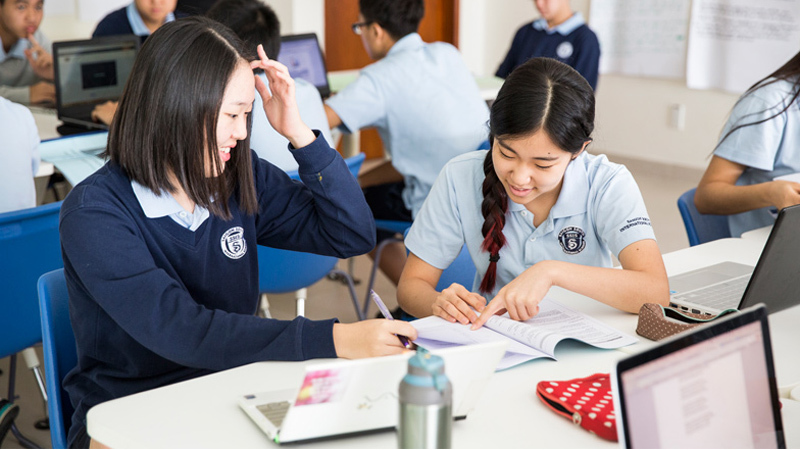 With separate technology coaches for the elementary, middle and high schools and an overall ICT Director in the administration department, it’s safe to say that SSIS takes the role of technology in the classroom seriously. 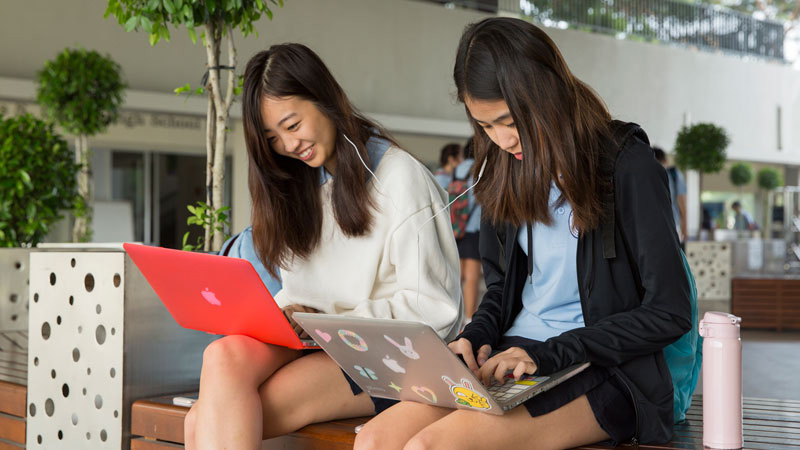 Earlier this year, SSIS became the first Apple Distinguished School in the country, a distinction both prestigious and rather nebulous. At the moment 400 schools spread across 29 countries are Apple Distinguished Schools. To hold this coveted title, Galvez said it wasn’t so much having Apple products (although SSIS is a completely Mac-driven institution and requires all parents to purchase a personal MacBook for their child when they enter the 4th grade), but rather promoting an innovative approach to learning. Finding ways to do this is Galvez’s bread and butter. Although he acknowledged that it’s impossible to keep up with all the technological trends, he keeps current through an active world-wide professional learning network with other technology coaches. “Twitter is a great medium for this,” he said. 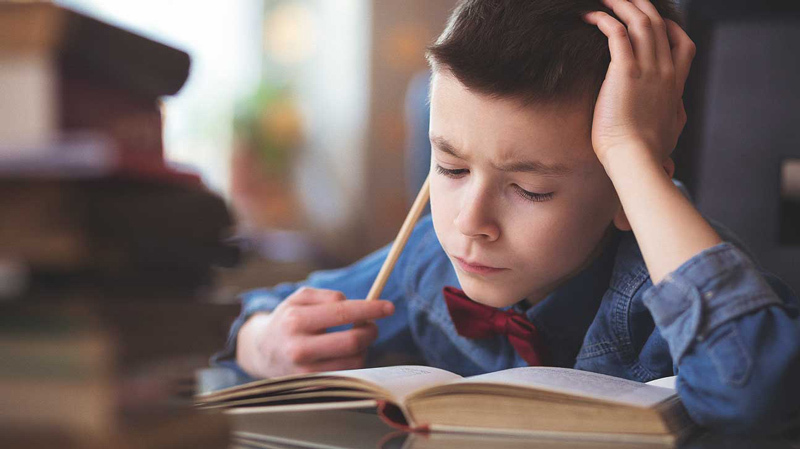 Once he discovers something he thinks might make learning more efficient, or connect kids in a deeper way, he meets with teachers to discuss how the program can be integrated into their lesson. For a language class, he said that SoundCloud is often useful, which allows teachers to comment in different places on a student’s audio file. For multimedia collaborations, he might suggest Explain Everything, an interactive whiteboard app that lets students create visual presentations in the cloud, so students and the teacher can interact as it’s created. The debate about technology’s role in the classroom has been raging for over a decade, since the concept of One-to-One learning was first propagated in the late 1990s. By providing students with personal learning devices, from which they could read digital textbooks and complete assignments, many claimed that the learning process could be more efficient and streamlined. Subsequent studies have suggested that digital learning isn’t the silver bullet some first believed it was, and some schools have tempered their expectations, or at least begun to view technology as a tool rather than an end in itself. The prioritization of education has been a core feature of Vietnamese culture for centuries, and now the Southeast Asian country is opening its doors to foreign-owned entities providing public education for its aspiring academics. 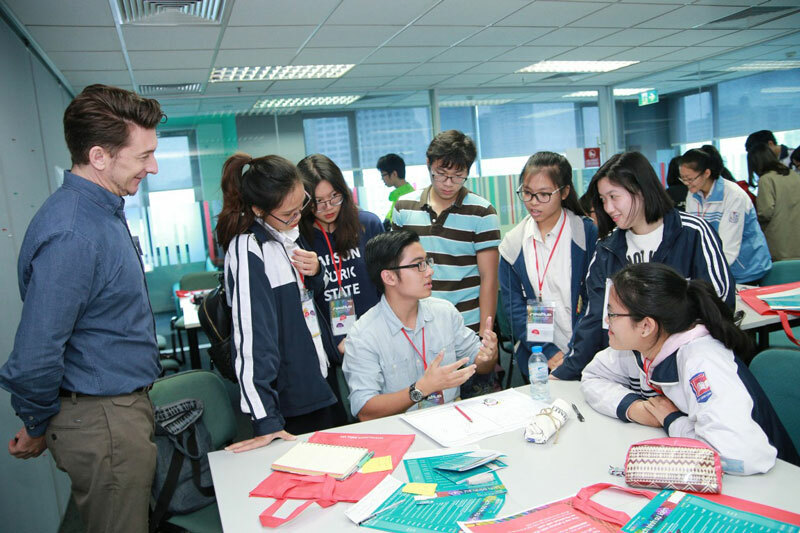 With a staff of academics from 25 countries around the world, RMIT engages in community outreach and has an increasing student population hailing from provinces outside the urban centers of Ho Chi Minh City and Hanoi. This year, Fulbright University Vietnam will open in Ho Chi Minh City. The original Fulbright program was launched over seven decades ago as a means of establishing closer diplomatic ties between the United States and countries around the world through the promotion of education and cultural exchange. Fulbright University will open its doors in the fall of this year, promising a new and innovative approach to higher education in Vietnam, while engaging in community outreach and offering need-based financial aid to qualifying students. At its inception, Vietnam’s educational culture was largely influenced by Chinese systems, particularly Confucianism. Confucian ideals dictated that although man is at the center of the universe, man is a social being, and finds his (or her) highest potential realized in community with others. Within this potential is the ability to be educated, and as such, education should be accessible to all. 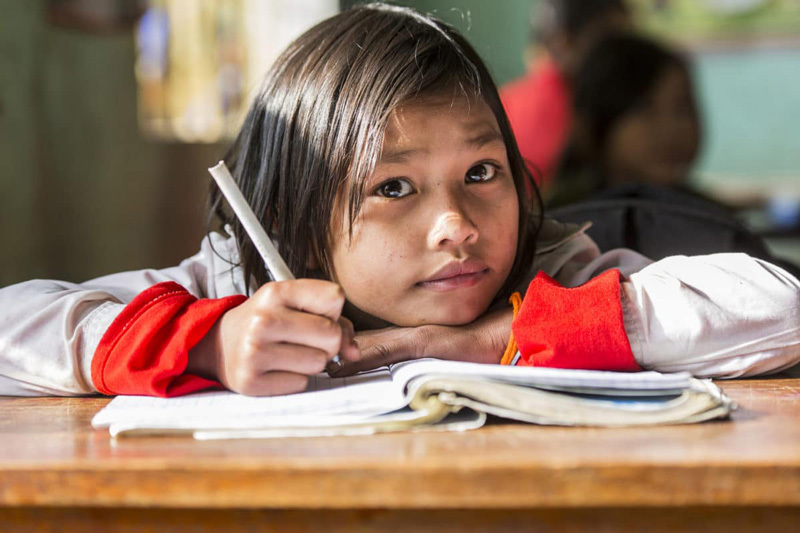 As community is important in Vietnam, education is seen as being not only a way of the advancement of the individual, but as a way of cultivating the kind of character that will help uplift his or her community. Former leader Ho Chi Minh decided when Vietnam gained independence from France on September 2, 1945 that the government’s three biggest priorities would be “fighting against poverty, illiteracy, and invaders.” His philosophy on education was guided by the principle that “an illiterate nation is a powerless one.” In October of that year, he issued a “Call for anti-illiteracy.” The nation responded to the call by creating 75,000 literacy classes with 96,000 teachers in order to teach 2.5 million Vietnamese to read and write. Vietnam has long been known as a country and a culture that consistently keeps an eye on progress. Throughout history, the Southeast Asian country has borrowed and integrated ideas about ways of living from influential societies, from the neighboring Chinese, to the French who formerly colonized it. The opening of foreign-owned public learning institutions in Vietnam marks a paradigm shift in the country’s policies towards education. With the world’s eye on Vietnam as an emerging economy, it is sure to continue to attract foreign interests. Vietnam is emerging as a bona fide market for educational investment, and its consistent desire for quality education is sure to be instrumental in its rise towards becoming a middle-income country, as it cultivates the minds of global-minded scholars. From being part of the Chinese kingdom and the French colonial state to its complicated past relationships with the U.S. and Russia, Vietnam has historically been a country crowded with languages. As a result, Vietnamese itself was only recognized as the country’s official tongue in 1945. 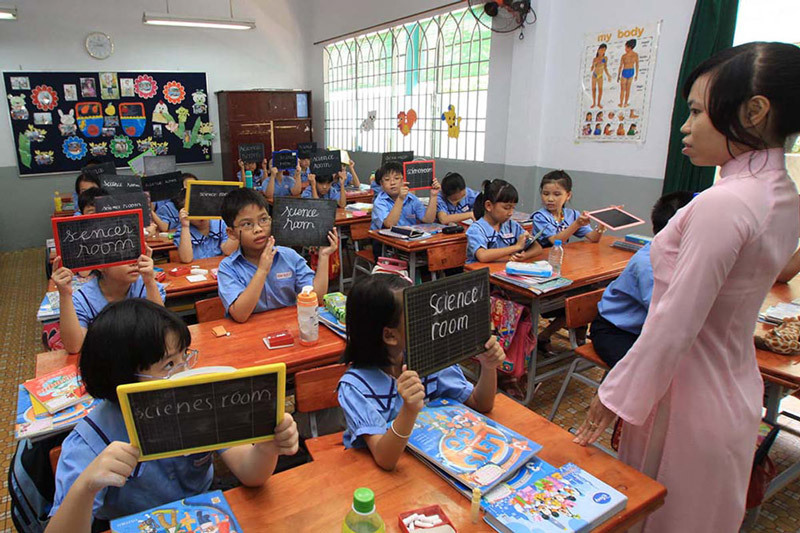 Today it is mandatory for all students in Vietnamese schools to follow their studies in Vietnamese but the recent influx of foreign business and tourism has increased the importance of learning other languages as well. The majority of students study English as their first foreign language with French being the reigning second. The priority of Vietnam’s Ministry of Education and Training (MOET) is for all students in Vietnamese schools to learn English as their first foreign language, according to Priscille Lasémillante, Attaché for the French language at l'Institut français du Vietnam (French Institute of Vietnam) . Then, when possible, they can learn a second foreign language. 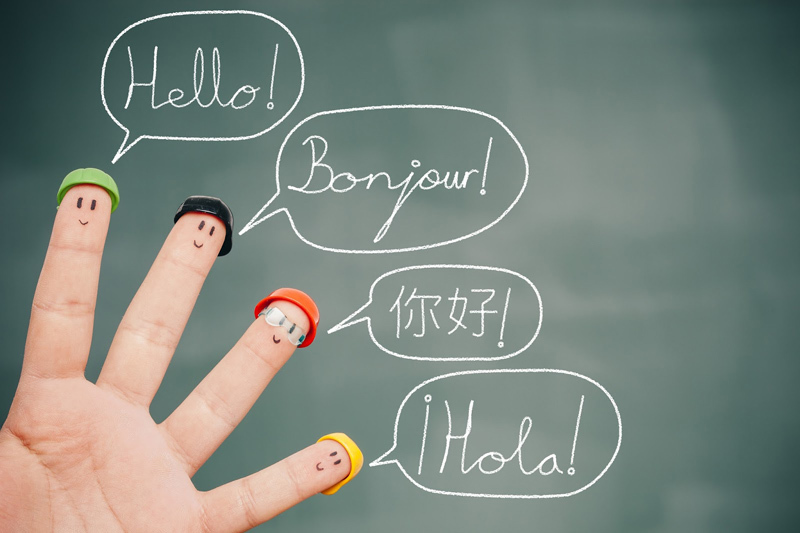 Today French is the foreign language the most taught after English, with approximately 40,000 students. 10,000 or fewer students study Japanese and a fraction study Korean, German, Russian and Chinese, Lasémillante said in an interview given in French. To understand the country’s dominant languages today, we have to go back to the 1954 Geneva Conference where Vietnam was officially divided through the middle. This rupture informed not only policies but also language. In the North, Chinese and Russian took precedence in the educational system, while in the South, French and English became the preferred languages. However, after reunification, the Southern languages and Chinese plummeted out of favour and it was Russian that connected the country to the rest of the Communist bloc. Do Huy Thinh, from the Vietnamese TESOL Association, wrote that, “Russian became the dominant language, overshadowing the demands for all others in Vietnam’s early reunification". When the Soviet Union dissolved in 1991, Vietnam found itself with a surplus of Soviet-trained professors and a sudden lack of opportunities for Russian trained students; as a result the language is barely taught in Vietnam today. In 1987, Vietnam introduced Doi Moi , the open door trade policy that brought the country onto the international stage. The resulting explosion of business, tourism and foreign investments launched a need for new languages in Vietnam and English quickly took the lead. The English language was granted special authority in 1994 when the prime minister signed an order requiring government officials to learn foreign languages, with English being the primary focus. 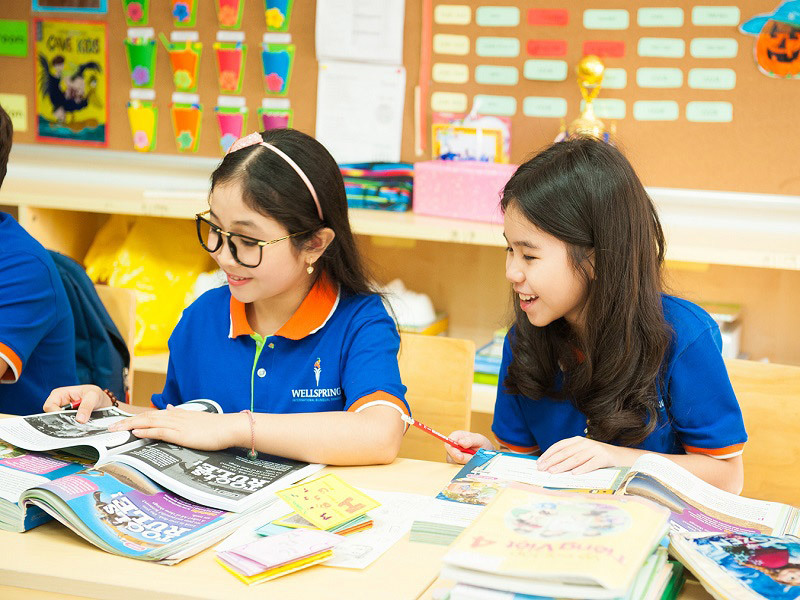 Foreign investments and influences from English-speaking countries have further solidified English as the top studied second language in Vietnam. MOET recently attempted to codify language training even more with the federal education agency’s Project 2020 initiative. Launched in 2008, the project’s mission is to advance Vietnamese students’ English to the level necessary for employment, yet as of 2018 Vietnam remains 7th in Asia in English language proficiency. Today Vietnamese parents tend to push their children to study whatever language has the greatest utility. French remains popular in large part because between 1992 and 2006, French language education in Vietnam was financed by the French government. Numerous scholarships— notably in the sectors of medicine, engineering, and law—still exist to help Vietnamese continue their studies in France, and the only Vietnamese degree recognized internationally is a French-Vietnamese diploma in engineering. 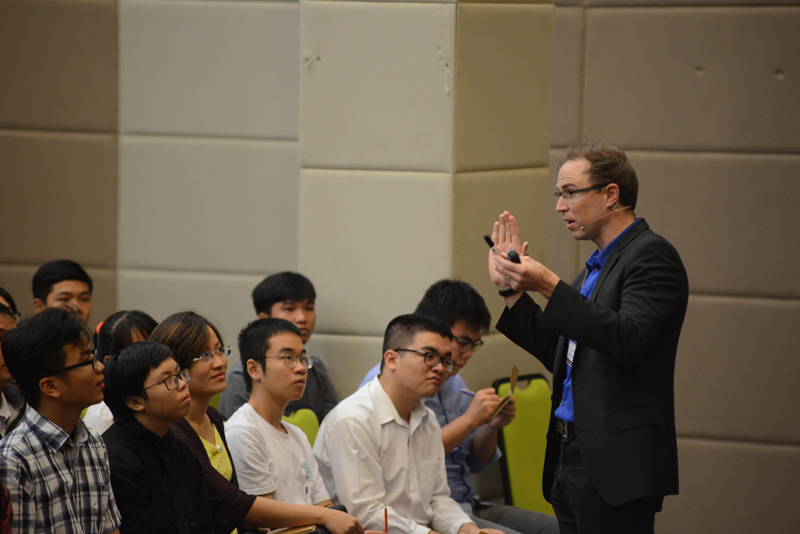 German became another contender for a second language when Goethe-Institut cultural centers were set up in Hanoi and Ho Chi Minh City and student foreign exchanges began to develop. Japanese become a third major player through scholarship schemes intended to help Vietnamese students study at Japanese universities. Time to Look Towards China? 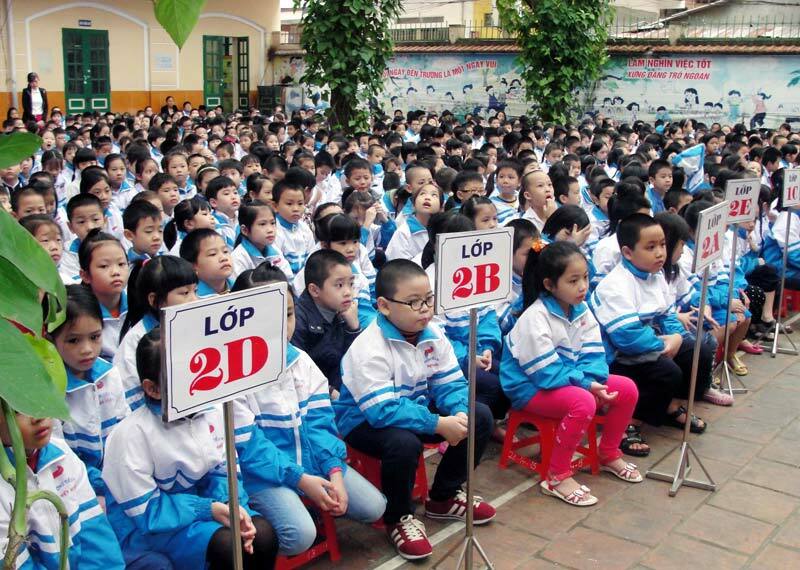 English is still necessary for advancement in Vietnam and throughout the region—it is the official language of ASEAN—yet some experts warn against parents becoming too obsessed with their children becoming anglophones. “We must not only focus on English, but also pay attention to demands of localities and grades. Besides prioritising English, we need to develop other foreign languages,” Minister of Education and Training Phung Xuan Nha said in reporting by Vietnam News. “Cities and provinces which have the necessary facilities to teach other languages should be encouraged”. The lack of Chinese taught in Vietnamese schools may be surprising given that Mandarin Chinese is the language spoken by the most people worldwide, and it is the official language of mainland China, Taiwan, and Singapore, countries in close proximity to and bearing business interests in Vietnam. "China is the world's second largest economy,” Nguyen Thi Linh Tu, deputy head of the Chinese language faculty in the Hue University’s University of Foreign Language, said. “Learning Chinese, Vietnamese people can access a huge market in China and Chinese communities in other countries". Priscille Lasémillante agrees. The Vietnamese have a super power just in front of them. China is in the process of developing a cultural cooperation with the rest of the world and perhaps Vietnam should take note, she said. “Cost”. “Competition”. “Choice”. “Commitment”. “Care”. These words echo throughout the statements of parents in HCMC who’ve decided to take their children out of the traditional school system. The alternative paths range from homeschooling, following a structured curriculum in a home environment, to unschooling, no school structure at home or otherwise. Parents are also selecting to enroll their children in what adherents call “world schooling”, allowing children to be educated by the world around them through travel. Parents in HCMC are often divided into two camps: those who choose to educate their children themselves because of the high cost of private schools and those who consider it to be a philosophical decision. The concept is still new in Vietnam but a few parents frustrated with the long hours, costs, and rigidity of classic educational systems are following suit. Khoi Nguyen began a group in Saigon for Vietnamese homeschoolers, in order to meet other parents with similar child-rearing philosophies but he soon realised that many of the Vietnamese interested in joining the group assumed homeschooling meant supplementing their children’s schooling with private tutoring. In Vietnam, educating a child at home is such a foreign concept that many people have never heard of it. Alongside his job as a computer engineer, Khoi now works as a homeschooling counsellor and educator for other parents. For their own children, Khoi and his wife looked at their choices – either going to public school or paying the high premium for private school. Neither option suited their family. Instead, Khoi decided on homeschooling with strict lesson plans. He chose the Calvert curriculum, which claims Barack Obama as an alumni. Calvert is one of the priciest online curriculums available but Khoi insists it’s worth it. Families in Vietnam “have all of these options on the menu”, Khoi said, “this year they can pick a very high-end school but in five or ten years can they still support that fee? It’s unsustainable. They might have to downgrade and the system in Vietnam isn’t compatible”. The cost argument is concrete. In HCMC, the average price of an international school is VND341 million per year and, according to a report by VietnamOnline, the average salary for a Vietnamese worker is VND38.4 million per year. For the majority of Vietnamese families public schools seem to be the only option. 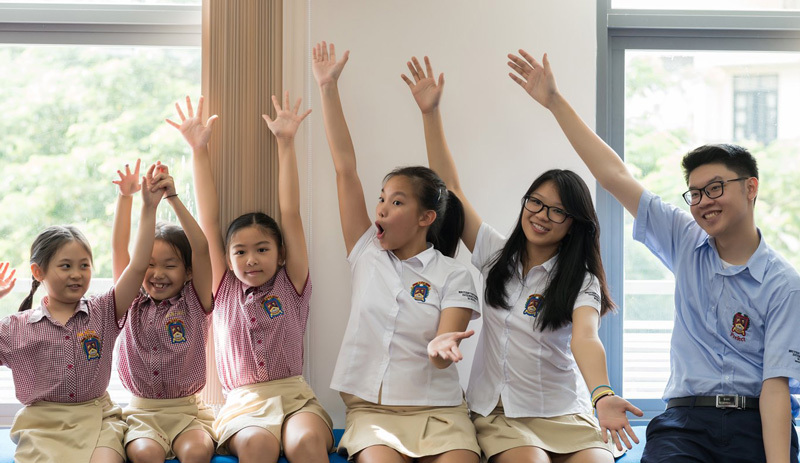 On the other hand, expat families in Vietnam sometimes feel that international schools are their only choice because the public structure may seem too foreign for non-Vietnamese speakers. However, many expats work in companies that will pay a stipend for schooling. This is the case for Kristi Cruz*, an American mom with three children. Cruz’s husband’s company offers its employees an educational allowance, yet the couple refuses the aid. Cruz, a passionate unschooler, “lives as if school doesn’t exist”. She feels her children will learn when they’re ready and that they will be more competitive in the workforce because they’ll follow their true interests. She tried out a public pre-school but Kim realized it was the wrong choice for her family. Now, Kim manages a children’s play area, which gives her the luxury of spending her day with her son and allowing him to socialise with other kids. 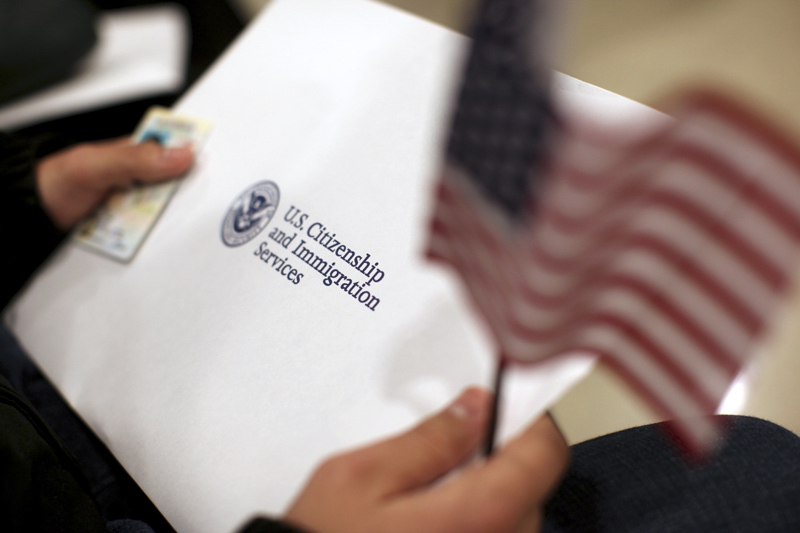 The fact that her son has dual nationality also gives him the freedom to continue his schooling in the US later on. At a kid-themed café equipped with a labyrinthine climbing structure, Kristi Cruz met up with Angee Floyd, another unschooling mom. Like Cruz, Floyd is also American and is raising two children in an unschooling environment. Unlike Cruz, Floyd is doing it completely alone. A single mom with a degree in teaching and what she described as “insurmountable student loans”, she decided to move to HCMC to reduce her living expenses. Floyd is able to teach less and spend the rest of the time with her kids. According to both moms, having the freedom to follow the needs of their children has created a deeper family bond. Therefore, the question arises: what exactly do parents do when traditional school is not part of the equation? The philosophy behind unschooling is that learning should be child led. A fascination with dinosaurs might provoke an investigation into palaeontology, while the routine process of paying for something at a store can teach basic math skills. A child in a world schooling family might learn Spanish by visiting Spain. There are no rules for what or how to study. Each family figures it out as life unfolds. 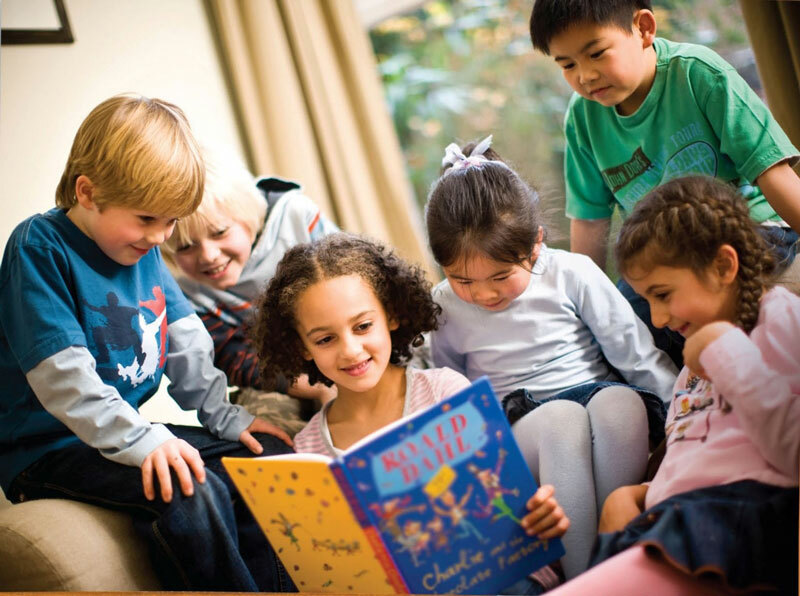 Just as a baby learns to speak, a child will, for example, learn to read when they’re ready. In contrast, homeschoolers follow parent-guided curriculums. Anne Hudson*, a US national and mom of three, initially enrolled her older children in Vietnamese pre-school but Hudson felt the schools were too strict and that the days were too long. “It’s too much pressure”, she said. 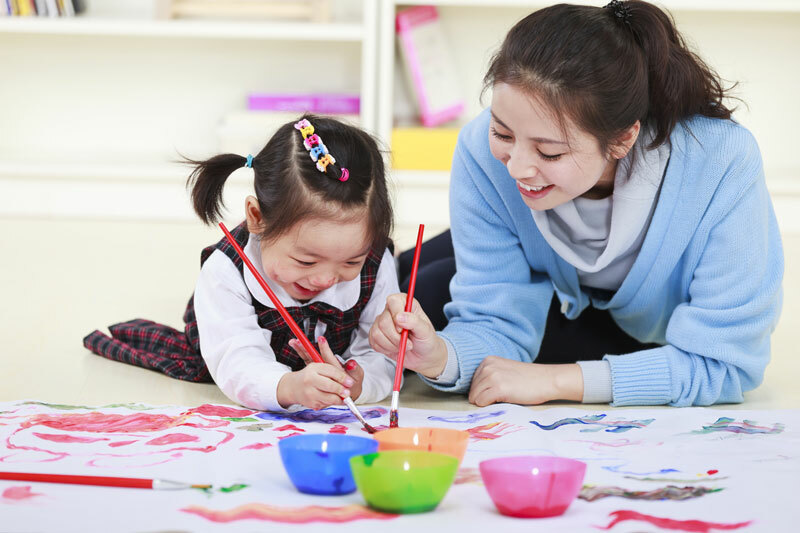 Hudson follows two curriculums with her children, a program for her son that keeps learning fun with drawing, games and songs, and a separate method for her daughter, who has a learning disability and needs a more structured approach to her lessons. Their typical day starts with outside play from 7:30am until 8:30, followed by homeschooling from 9 until 12. Extra activities, such as music or art, are saved for the afternoon. The modern homeschooling movement began in the 1970s when an educational philosopher named John Holt launched a campaign to “do away with the ugly and anti-human business of people-shaping and to allow and help people to shape themselves”. Initially, Holt tried to rework the codes of traditional education - rote memorisation, forward-facing classrooms, the godlike reverence towards teachers - by testifying about his theories before the US Congress, but later he decided school in any form was inutile. His resulting newsletter, “Growing Without Schooling”, increased both his followers and his sceptics. Holt may seem like a pioneer to some and an eccentric to others, but in reality homeschooling existed for centuries before it was given an official title. 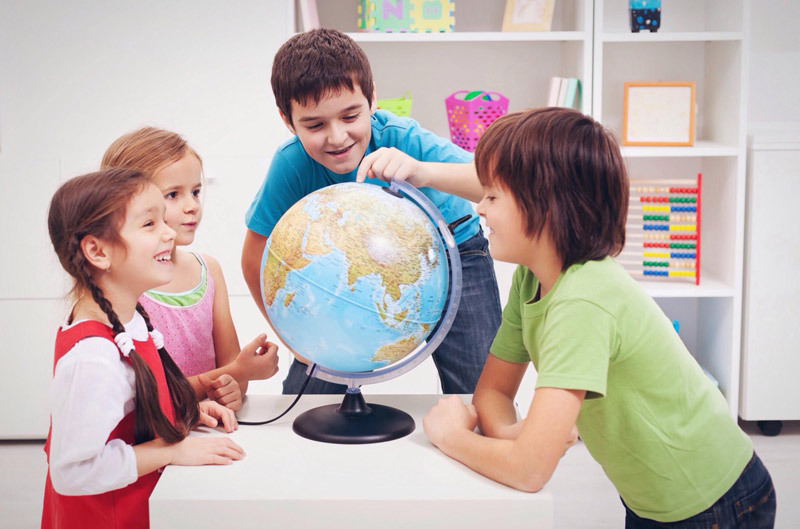 The precedents for alternative schooling vary from country to country. In the founding days of America children were expected to work alongside their parents. The trend towards self-directed learning was not so much a leap forward as a look into the past. Edmond Yee wrote in his book, “Confucian Education: A Moral Approach”, that Confucius taught the belief that “everyone has the same potential to be educated, and therefore education should be available to everyone. Vietnam was therefore constructed to be a collectivist country, meaning that individuals are less important than the whole.” These core Vietnamese values make the alternative education concept more foreign than in a country where children were historically schooled at home because of the community’s needs. The online resources we queried showed that out of 77 countries with published educational regulations, 41 allow for alternative education but, depending on the country, families can be subjected to strict regulations. Homeschooling is prohibited in 30 countries and in six, including Vietnam, the law is unclear. The Vietnamese constitution is just abstract enough for homeschoolers to fit between the cracks. According to the Vietnamese education law, “Families have the responsibility to create conditions for their members in the defined age groups to learn in order to obtain the level of universalized education”. Homeschooling is not specifically mentioned, nor is it forbidden. However, this loophole doesn’t mean homeschooling families are free from difficulties. Once a student is taken out of public school their placement in the system is effectively ‘frozen’. Online courses are not recognised by the government so a child who wants to re-enter school will have to return to the grade they left. In addition, there is no homeschooling equivalent to a high school diploma in Vietnam. Children without a diploma cannot pursue higher education in Vietnam. The options are therefore narrowed down to going to university in another country, trade school or starting over in Vietnam. Vietnamese families who choose alternative education have to be fully committed to seeing it through for the long term. Homeschooling has recently become a subject of controversy because of the case that shocked the world: In California,13, supposedly homeschooled, children were found to be brutally neglected by their parents. Cases such as these are few and far between but lawmakers are now demanding more oversight of children educated at home. 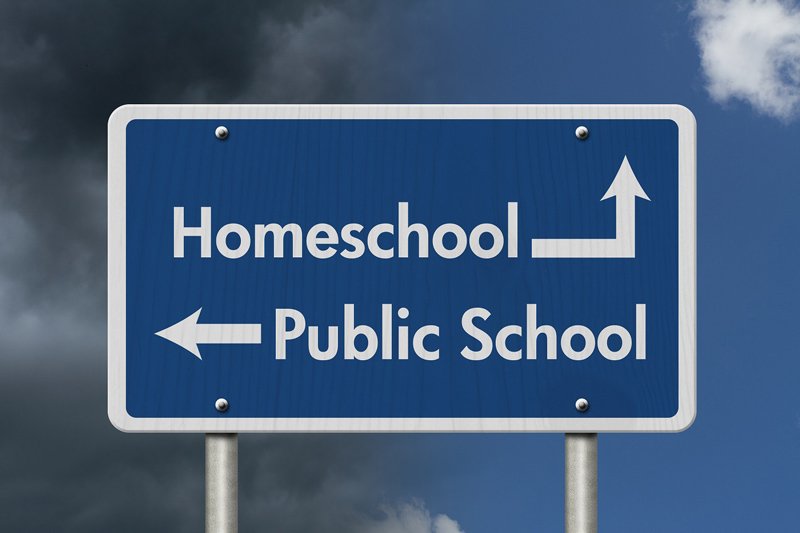 Many countries have already installed rigorous checks of homeschooling families. In Vietnam, children also slip through society’s cracks. “The government tries to encourage kids to go to school but obviously not every child in Vietnam does”, Khoi said. “You go to the streets and you see children everywhere. There’s no real law.” However, even if parents aren’t breaking Vietnamese law by schooling their kids at home they are breaking tradition and they are subject to intense judgment as a result. All the parents interviewed, whether expats, overseas Vietnamese or locals, spoke of the pressure from the outside world and especially relatives. What do the statistics say? In a survey for Psychology Today of 75 adults who’d been unschooled as children, the adults described “dealing with others’ criticisms and judgments of unschooling, some degree of social isolation and social adjustment” as being their biggest challenges. However, for 72 of the 75 respondents, “the advantages of unschooling clearly outweighed the disadvantages”. 62 % of these adults went on to pursue higher education in some form and the majority were employed at the time of the survey. 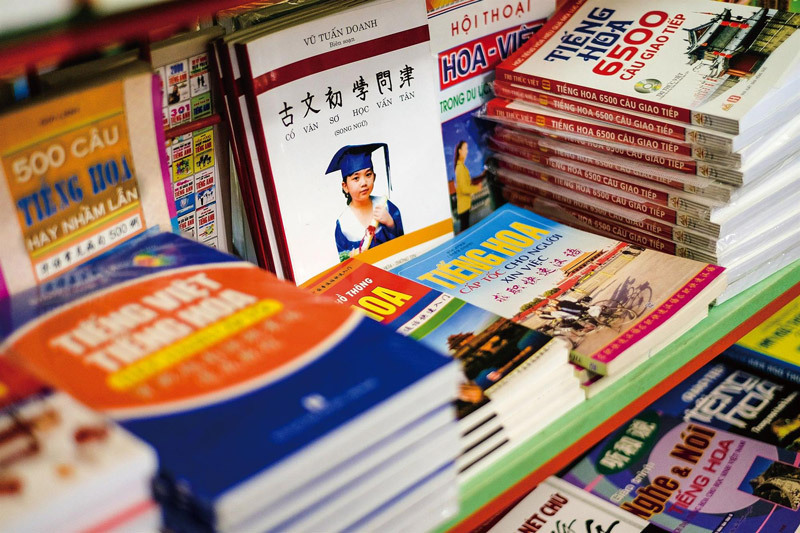 Regardless, of the debate about whether or not alternative education programs are successful, Vietnamese families have an added difficulty – most of the available curriculums are in English. “My family is not an English speaking family”, Khoi said with a sigh. “That’s the biggest challenge. I try hard but it’s only me who can follow the curriculum. Most of the families I talk to can’t get past the English gate”. For other parents the biggest complaint is a lack of time. One parent has to be available to guide the children. It’s difficult to pursue a career at the same time. However, most families feel the sacrifice is worth it. Nellie and Gavin, American parents of 3.5-year-old Lucy, have lived in HCMC for 7 years. 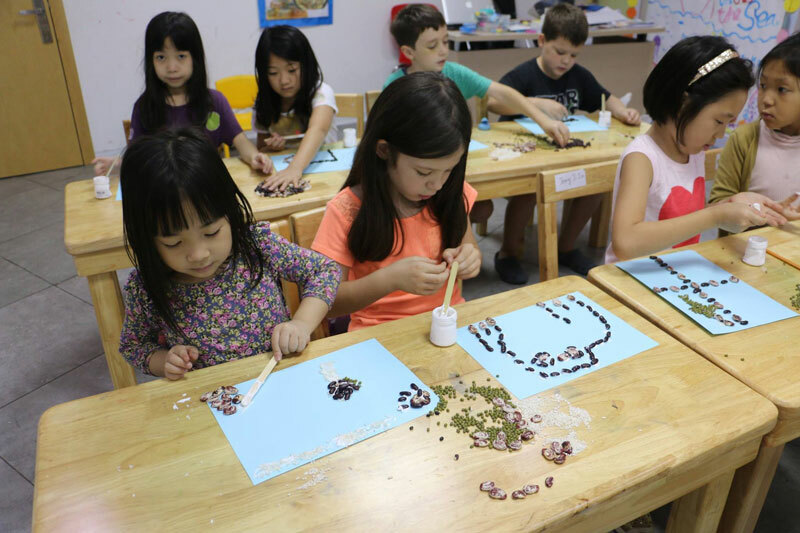 When Lucy was diagnosed with severe hearing loss the couple looked into their schooling options in both America and Vietnam, and even tried a private pre-school in D2, but in the end they decided on homeschooling. For parents of children with special needs individualised care has added weight. Anne’s daughter has an auditory processing issue -- she struggles to process information as it comes in. Angee’s daughter started getting test anxiety when she was in public school to the point that she started having panic attacks and refused to read anything.